The Ministry of Science and Technology (MoST) on Monday, through its different organizations, approached academia and industries to bridge the gap and promote demand driven applied research in the country. While addressing a Memorandum of Understanding (MoU) signing ceremony between MoST and Quaid-e-Azam University (QAU), MoST Secretary Akhlaq Ahmad Tarar said the role of MoST in integrating academia, Research and Development (R&D) organisation and industry had been overlooked in the past. MoU was signed to collaborate for promotion of demand driven applied research, indigenisation of technologies and entrepreneurship development. Tarar and QAU Vice Chancellor Prof Dr Masoom Yasinzai signed the MoU on behalf of their respective organisations at MoST. Senior officials from MoST and QAU, heads of MoST Wings, R&D organisations and in-charges and deputy in-charges of MoST Commercialization Programme from across the country were also present on the occasion. The MoU aims at sharing human, material and financial resources of the collaborators to undertake and promote need-based research and development, commercialisation of the intellectual property developed through collaborative research and transfer of technology to the industry for industrial and socio-economic development in the country. 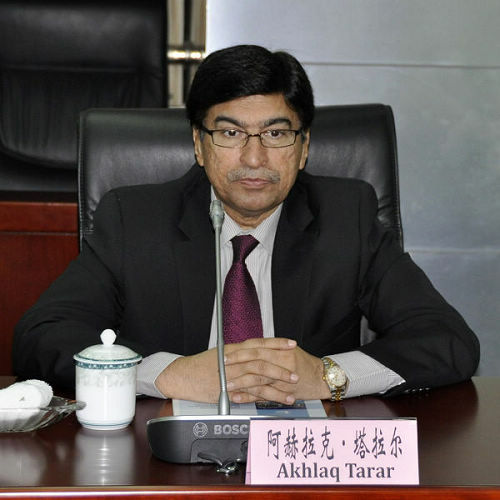 Tarar quoted the example of South Korea and China who had integrated their R&D organisations, academia and industry for achieving the heights of industrial growth. Tarar said Korea had a ministry of knowledge economy. Dr Yasinzai said that in Pakistan, there was a huge gap between R&D organisations, academia and industry that had hampered industrial growth. He quoted the example of National University of Singapore that had started with the concept of entrepreneurship which had changed the landscape of the country. The VC said exports of Singapore, alone were more than 54 Islamic countries. He said QAU had established an office of industrialisation and commercialisation (ORIC) in the university. The VC said academia had the responsibility to get engaged in demand driven applied research and set targets of industrial growth for them. MoST Commercialisation Cell Executive Director (ED) Dr S.Shahid Hussain said research, innovation and commercialisation were a must for industrialisation and sustainable development of a nation. He quoted the example of USA’s Massachusetts Institute of Technology (MIT), whose graduates during 2000-2006 started more than 5,800 companies, and this number was increasing ever since. He said MIT produced more patent applications than any other university in the world. Dr Shahid said MoST initiated the Commercialization Programme and established the Commercialization Cell in 2011 to guide, support and build capacity of its organisations in undertaking demand driven research and commercialisation of their intellectual property. The ED said the cell works in synergy with STEDEC Technology Commercialization Corporation of Pakistan.